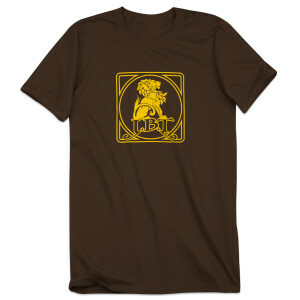 Mens Bark Brown Tee featuring the JBT Classic Lion Design. 100% Quality soft organic cotton. Cold wash and can be tumble dried on low. Made in USA.